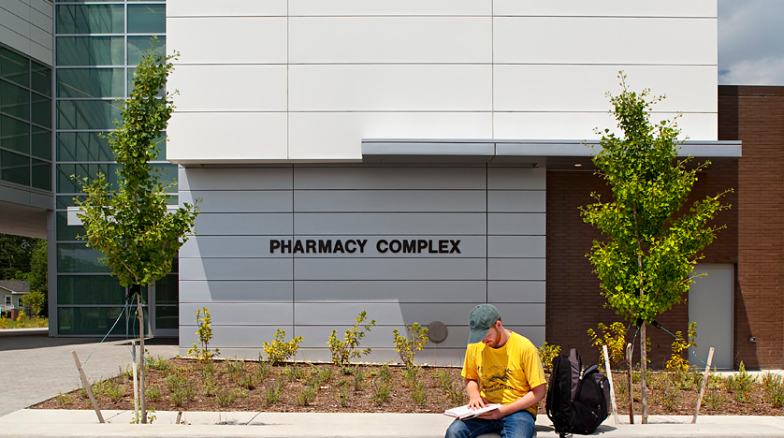 The 52,000 square foot building dedicated to the UNC/ECSU Doctor of Pharmacy Partnership Program houses distance learning classrooms, teaching labs and research space. 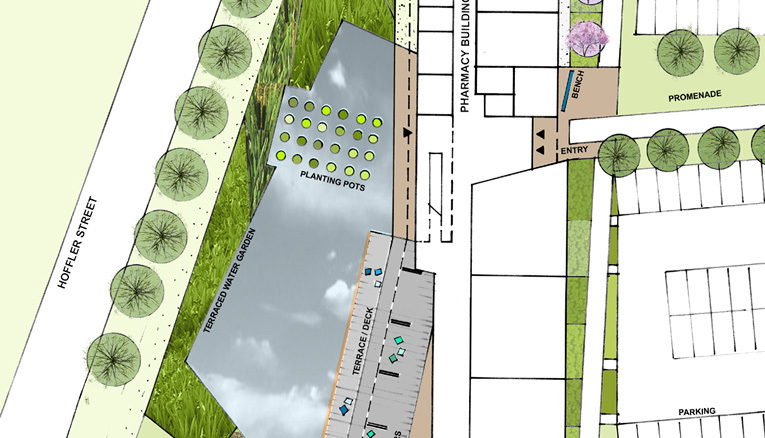 The site design highlights state-of-the-art stormwater management as an experiential amenity for visitors. 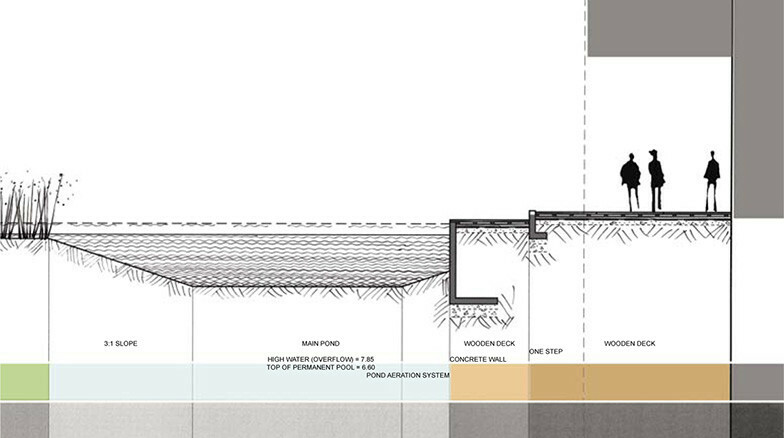 The paved entrance forecourt and cantilevered deck create a functional edge to the structured bioretention basin that controls rooftop runoff while providing a gathering space for students and faculty.